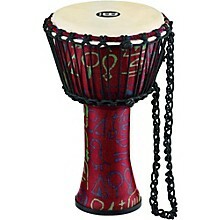 This Meinl Travel Series Rope-Tuned Djembes are great for professional musicians to recreational players. 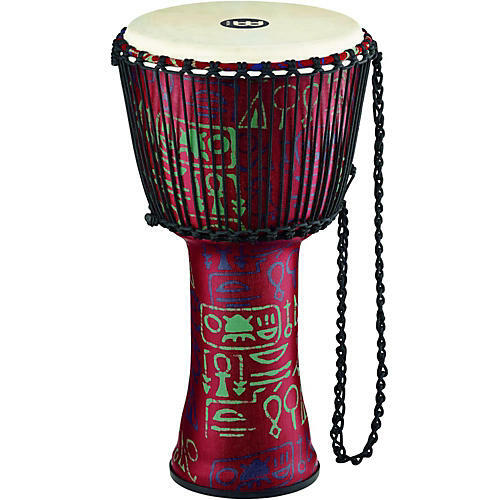 The patented synthetic construction is used to create a djembe that is ultra-lightweight.&nbsp;At 20% lighter than their fiberglass series djembes, these drums are a great choice to carry to your next gig or on a hike. 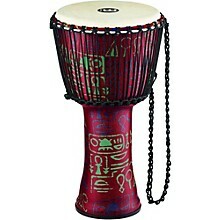 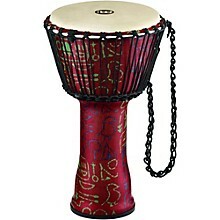 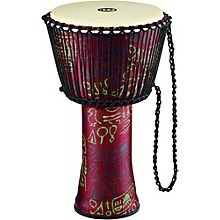 The hand-selected goat skin heads produce the traditional slaps and warm bass tones found in traditional African drums.